What do chocolate, ice-cold water and snow have in common? More than you think. The weekend of Feb. 14-16 is going to be a busy, so it’s time to pull out the calendar and start planning. 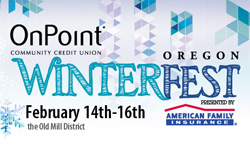 First up is WinterFest, beginning Feb. 14 in the Old Mill District. This year promises to be bigger than ever with a massive, redesigned rail jam, snow and ice sculptures, and more artisan fire pits. Music, as always, is a big part of WinterFest. On Friday the world-renowned Dirty Dozen Brass Band will perform high-octane New Orleans jazz. The mystical pop sounds of Menomena will echo in the WinterFest arena on Saturday. Saving Grace, which provides comprehensive family violence and sexual assault services, is the beneficiary of this year’s WinterFest. 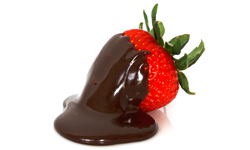 If you are a fan of chocolate – and who isn’t? – you can take part in the fourth annual Run for Chocolate 5K run/walk in Sunriver on Saturday, Feb. 15. The race starts at 10 a.m. The flat, scenic 5K course starts off at the Sunriver Resort Lodge and meanders by the Great Hall, Sun River and Meadows Golf Course, then winds back to the Merchant Trader Lawn at the back of the lodge. A Run for Chocolate wouldn’t be complete without a Chocolate Aid Station serving up chocolate treats and water for a quick energy boost. Just don’t stay too long or you’ll end up missing the finish line. 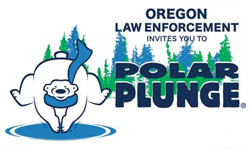 Also on Feb. 15, Riverbend Park in Bend will be the site of the annual Polar Plunge. The brave ones will plunge into the ice-cold water of the Deschutes River at 11 a.m. As in previous years, plunging is not enough for some individuals. Be prepared to check out the fanciful costumes as members of the community jump, sprint and crawl into the icy waters. For the right to brag about jumping in the river in February, each participant must raise at least $50 for Special Olympics Oregon. Those too chicken to plunge can still make a difference by donating to the cause. Special Olympics Oregon provides year-round sports training and athletic competition for more than 10,000 Oregonians with intellectual disabilities.